When we first think of the colour purple, what comes to mind is purple rain by the legendary Prince. 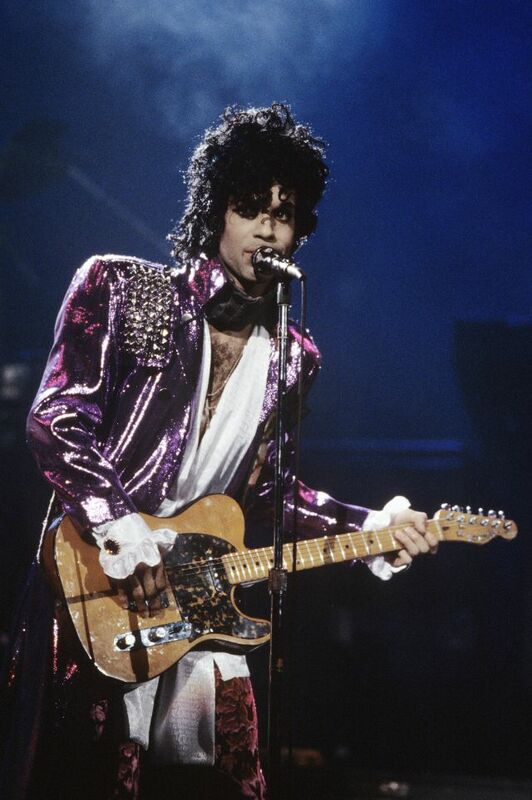 As a creative artist, his attire was always so glittery and daring. Purple combines the stability of the blue colour and the energy of red. 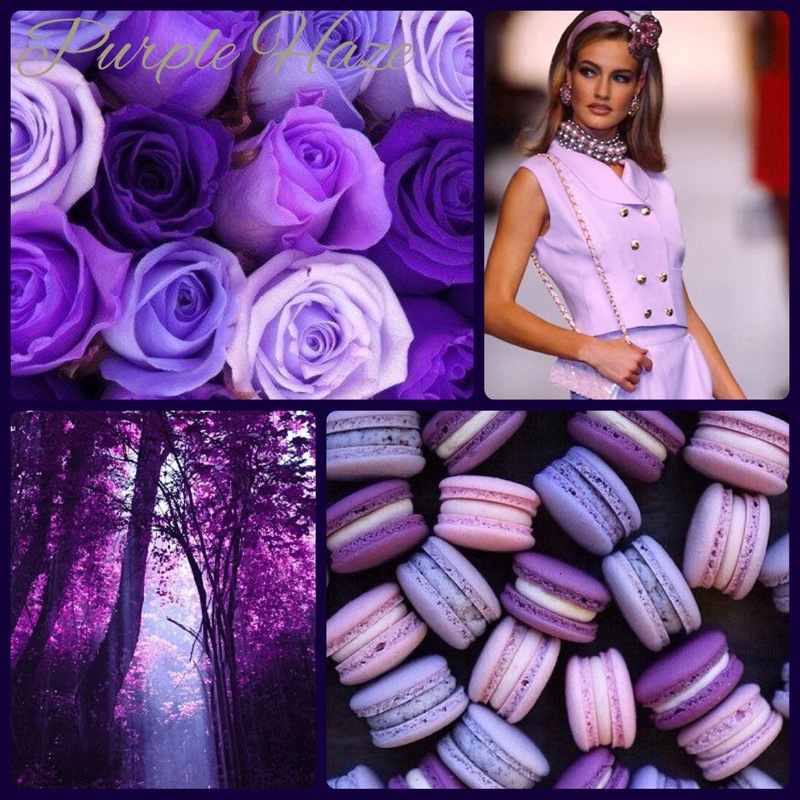 Through the ages, purple has always been associated with royalty, nobility, and prestige. The colour itself can symbolize mystery, magic, power and luxury. Purple combined with gold can be flashy and portray wealth and extravagance. The tone gives the impression of something that is fun and highly upbeat. Violet vibrations are the highest in the visible spectrum. The colour symbolizes the union of body and soul, which creates a balance between our physical and spiritual energies. Fall 2017 is filled with top trends, and there’s one we can’t take our eyes off. The scrumptious and delicious shade of purple. From lilac to violet, this gorgeous colour has emerged as a classic trend for Fall. It brings to mind autumns desire for rich, deep hues. These shades are splashed on the season’s fashion-forward designs. An unbeatable combination, of chic luxe aligns, and makes for a whole new upbeat way to rock purple. If you wish to stand out in a beautiful evening look, or trying out some new pieces on a day out shopping there’s a tone for you. With a variety of different shades, to suit and flatter every skin tone out there, this trend is accessible to all. Party Dress- Purple can be absolutely regal, but it is also a perfect colour for a party or evening out, as any fashionista at heart is aware. Combing two fall trends at once is a skill. Instead of wearing a plain purple dress, try mixing it up with lace another trend this season. Take a cue with some simple black accessories to tie this look together. Simple Touches- If you feel like purple can intimidate you, or you can’t see it looking great on you have no fear. To really get a feel for this tone, try adding some accessories to your outfit. If you are heading on a shopping spree, the best accessory is sporting a purple handbag. Mix it with a blush tone skirt and a pale purple jumper. By adding minimal accessories, you leave the bold bag to get all the star-studded attention. Signature Coat- If you are still not that girl who is brave enough for a purple accessory, no worries try another trending look. Adding a signature coat to your ensemble! Maintaining sophistication, this deep violet purple coat is suitable for the most casual of occasions. It has a deep v-plunging neckline that is universally flattering. When paired with a simple crispy white jumper and skinny jeans, makes for a gorgeous look. Velvet Affair- So many trends are here. The best way to showcase your fun side, is with a pair of velvet ankle boots. This material can be both dressy and casual. Pair these lush boots with a pair of jeans and a warm cardigan. Office Wear- Last but certainly not least, office wear. Whether you are having a casual Friday or decided to add more of a dressy flare. Adding a bold purple pencil skirt can make a world of a difference to your look. Make your skirt the focal point of the style, by wearing lighter accessories. 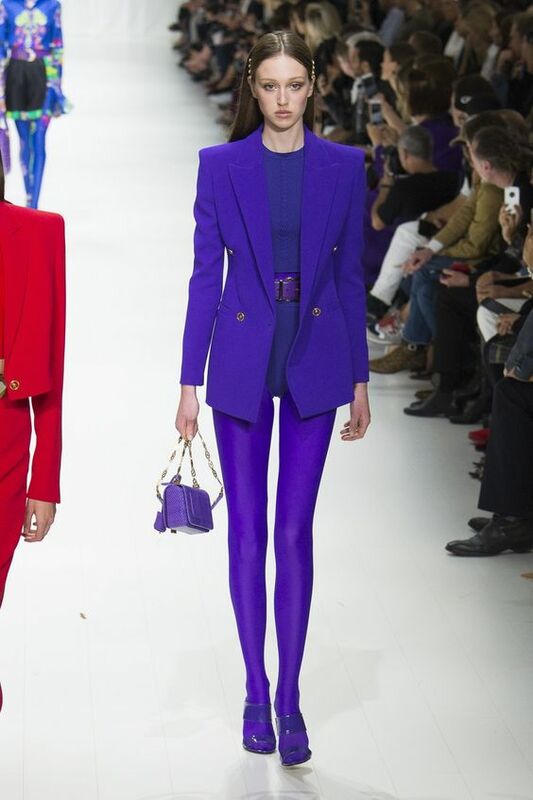 How do you wear purple this season?